I will have various patterns to choose from or you may bring your own pattern/quilt to get some help with. 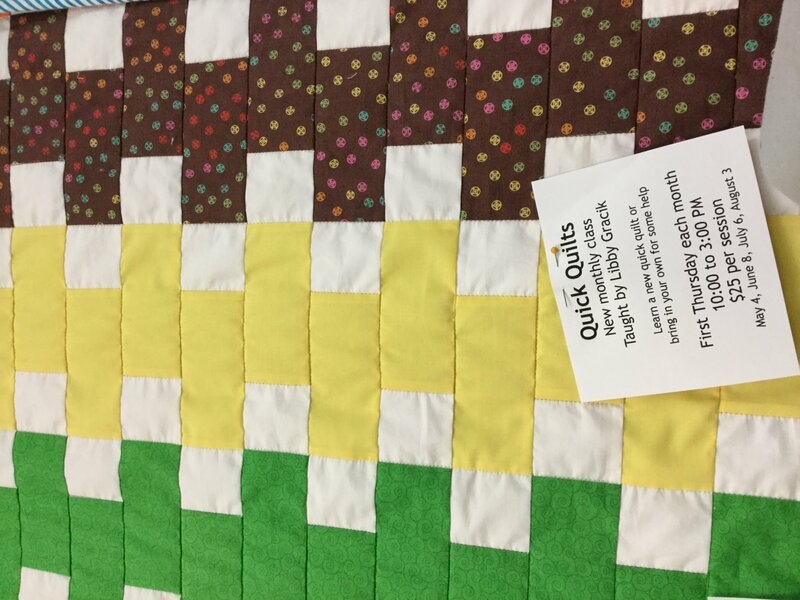 We will learn what you need to know- how to cut using a rotary cutter, sewing an accurate 1/4" seam, following a pattern to piece a quilt top, adding borders, sanwiching a quilt with backing and binding, machine quilting and binding your quilt. I will also show you little tools that can make your work easier-- we're all about that, aren't we? !